Replacing a tub or shower may be a big decision for some people. If a tub or shower has cracks or holes in it, or if a homeowner simply wants a different style in their bathroom, they may decide to consider a complete bathroom remodel. Remodeling a bathroom could be an expensive and long-term project. Sometimes problems can occur during a remodeling project. Plumbing problems such as low water pressure, dripping faucets, leaky pipes, and clogged drains are just a few of the problems that may be discovered during the remodeling of a bathroom. When these or other problems are found, it is important to have skilled and experienced plumbers working on them. Low water pressure may or may not be a problem in a house. It could be a water supply issue. If the problem is in the house, a main line break could be the cause. Built-up foreign material inside of pipes could also be a cause of low water pressure. Professional plumbers should be able to determine what the cause of low water pressure is and they should be able to correct the problem. Dripping faucets are another common problem in bathrooms. Dripping faucets could be expensive problems, as the constant drips can add up over time. Inside of faucets there are washers which help keep water from coming out of faucets from pipes. Sometimes, washers become worn and water squeezes through. The result sometimes, then, is dripping. This is generally not a very expensive problem to solve, and a plumber should be able to fix it with very little trouble. Another common plumbing problem in bathrooms are leaky pipes. Leaky pipes could be a very expensive problem, because sometimes, the problem isn’t known about until after there has been a lot of damage. Leaky pipes could be expensive to fix, but there is also a possibility that leaky pipes could cause water damage to the inside of walls and under floors. Clogged drains are a problem that a lot of people may be familiar with. Clogged drains can be caused by a number of different things, but it sometimes may depend on whether the drains are in a kitchen or a bathroom. Kitchen drains could become clogged by food and grease. 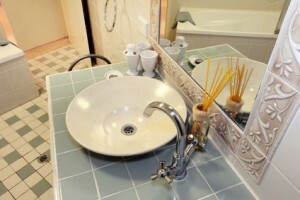 Bathroom drains are possibly more likely to be clogged by soap and hair. Licensed plumbers should know about the various local codes associated with plumbing. 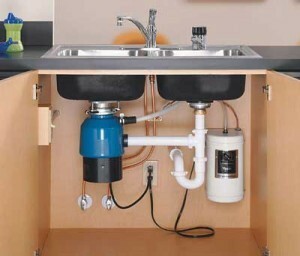 Codes related to plumbing fixtures, water heaters, and drainage are possibly a few of the areas of a plumbing code that licensed plumbers may know about.